Very few artists could inspire a retrospective called Best of the Best that actually lives up to its title; that actually comprises the creamiest cream of the crop. Then again, very few artists compare to Frank Sinatra. 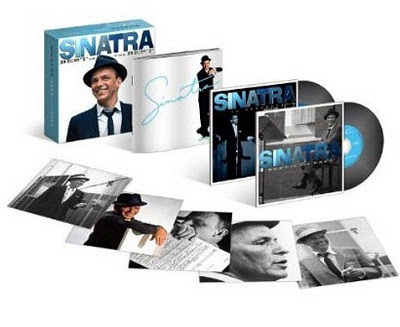 Marking the first time such a compilation includes material from both Sinatra’s years at Capitol Records and at his own Reprise Records, the primary disc offers a most-gratifying overview of what is arguably the legend’s most fruitful periods. Twenty-three songs, this has, and not a dud in the bunch. What makes this deluxe edition the one to get, though, is its second disc, '57 In Concert. Originally released as a live album and long since out-of-print, it boasts a complete performance recorded on June 9, 1957, at the Seattle Civic Auditorium. With Nelson Riddle conducting the orchestra, Sinatra is exquisite, delivering one highlight after another—“It Happened in Monterey,” “One For My Baby,” and “The Tender Trap” are but a few outstanding moments—with supreme cool and command. To say the man could work a room is an understatement; and listening to him here, engaging the audience with off-the-cuff asides between songs (and sometimes during them), is a real treat. That the gig sounds so well-preserved and pristine now only makes it all the more essential.